I’ve always loved General Grievous in the Cartoon Network Clone Wars micro series, but it’s pretty hard to find any apparel for women featuring him. 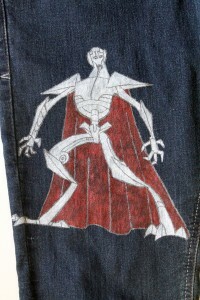 Cartoon images are easier to paint than images from the films, so I thought General Grievous would be a good candidate for a DIY idea I’ve been wanting to try – hand painting jeans to add a Star Wars touch. 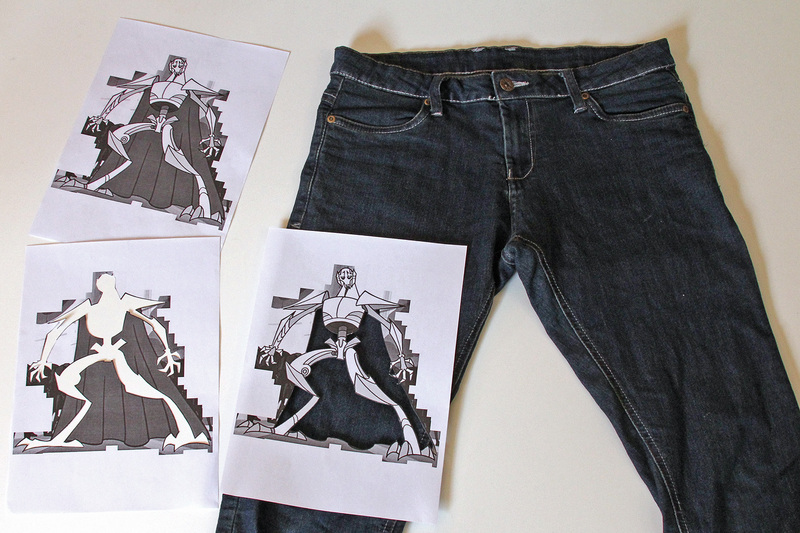 I enjoy painting but I’m not very good at drawing, so I created stencils to help me copy an image onto the jeans. 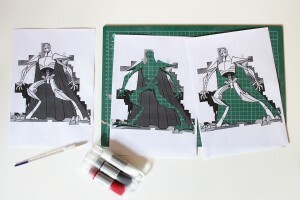 I took a screen capture of a full length view of General Grievous from my Clone Wars dvd and printed it out three times. With a scalpel/cutting blade, I cut out the main sections – with one copy I cut out the white/body areas, the second copy I cut out the red/cape areas, with the third copy left for reference. 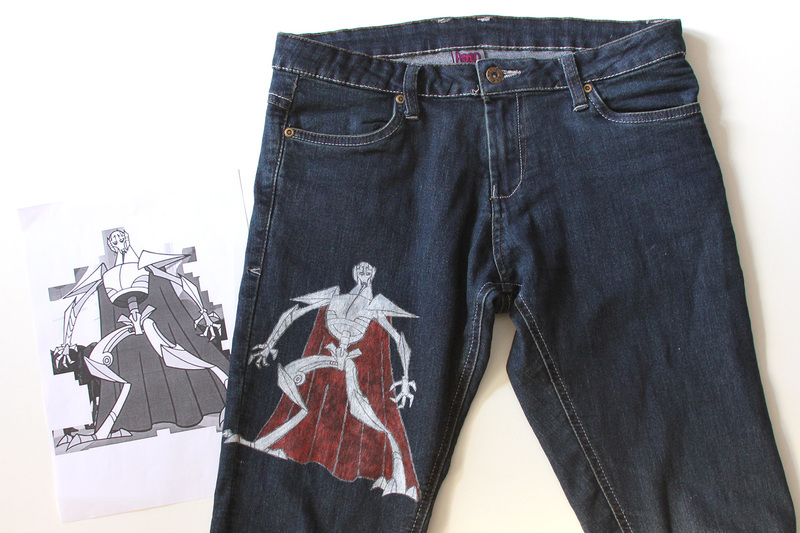 I pinned my cut-outs in place on the jeans, and carefully started hand painting with fabric paints. I started with the white area stencil, then lined up my second stencil and traced the red cape areas. 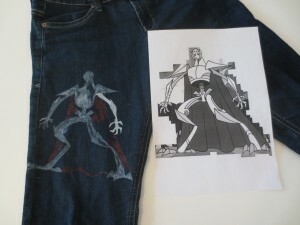 Once I had the outlines all copied onto the jeans, I removed the stencils and filled in all my lines. I ended up doing two layers of paint, as I didn’t want to apply the fabric paint too thickly, to avoid cracking when worn. Once I was happy with the main areas, I finished off the design with grey detail lines. It’s a project that anyone can do, with garments you already own and using your favourite Star Wars characters and logos. For the method I used, images from cartoons or comics work well – there’s so many to choose from. I’m really happy with my project result, and can’t wait to try more.